>> Chat transcript: What does motherhood do to your brain? IN THE WEEKS AFTER my first son was born, I squandered hours of precious sleep leaning over his bassinet to check that he was still breathing, or Googling potential dangers that seemed to grow into monstrous reality by the blue light of my smartphone. Among them: The lead paint my husband and I had discovered recently — a real but manageable risk — had turned our new home into a hazard zone. I cleaned our floors incessantly but still imagined a cartoonish cloud of poison dust following us as I carried the baby, so tiny and fragile, from room to room. When the doctor screened for postpartum depression during my six-week checkup, she noted that my responses to the questionnaire were somewhat mixed though my score was within the normal range. She asked whether I had thoughts about harming myself or my child and, when I said no, she moved on. But I was struggling. Before baby, I had managed a tendency toward low-level worry. Now, it was as if the volume had been turned up. Among the biggest worries I faced was worry itself. The way I saw it, motherhood made me feel this way, and I would be a mother forevermore. Would I always be this anxious? And would my baby suffer for it? I feared that something deep within me — my disposition, my way of seeing the world, myself — had been altered. In truth, something very foundational had changed: my brain. What I didn’t know then — what I wish I had known then — was that I was in the midst of the most rapid and dramatic neurobiological change of my adult life. The unmooring I felt, and that so many new mothers feel, likely was at least in part a manifestation of structural and functional brain changes, handed down through the millennia by mothers past and intended to mold me into a fiercely protective, motivated caregiver, focused on my baby’s survival and long-term well-being. Writer Chelsea Conaboy answered questions about her Globe Magazine piece on how motherhood brings the most dramatic brain changes of a woman’s life. 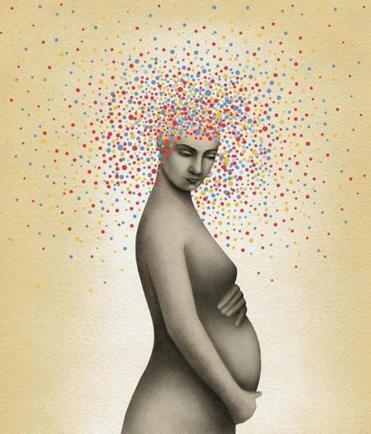 In the past two decades or so, researchers have begun documenting the makeover of the maternal brain. But while the transformation thought to occur is stunning, the brain remains almost entirely absent from the popular conversation about what it means to become a mother, even as a woman’s body — the status of Kate Middleton’s baby weight, for instance — is open to discussion ad nauseam. Women experience a flood of hormones during pregnancy, childbirth, and breast-feeding that primes the brain for dramatic change in regions thought to make up the maternal circuit. Affected brain regions include those that enable a mother to multitask to meet baby’s needs, help her to empathize with her infant’s pain and emotions, and regulate how she responds to positive stimuli (such as baby’s coo) or to perceived threats. In the newborn months, a mother’s interaction with her infant serves as further stimulus to link her brain quite tangibly to her baby’s. Some effects of those brain changes may moderate over time. Researchers have found that the anxiety or hypervigilance that many new mothers feel, for example, peaks in the first month postpartum and then diminishes. But they suspect that other effects linger, shaping mothers even well past their child-rearing years and even influencing their relationships with future grandchildren. In one key study, a team of researchers used anatomical magnetic resonance imaging to look at the brains of women who were not pregnant but hoped to be. The researchers followed up with images soon after childbirth and again two years later. For comparison, they scanned women who had never had a pregnancy. After childbirth, the volume of gray matter in the mothers’ brains changed dramatically, particularly in regions involved in social processes and “theory of mind,” or the ability to attribute emotions and mental states to other people — key in raising a human. The degree of change, enough that researchers could easily sort the women who had had a pregnancy from those who hadn’t, surprised Elseline Hoekzema, a lead author on the 2016 paper who studies pregnancy and the brain at Leiden University in the Netherlands. The more brain change the mothers experienced, the higher they scored on measures of emotional attachment to their babies, a finding that echoed past studies. And the changes in most brain regions remained two years later. The brain scans seemed to validate the rapid, pronounced, long-lasting change in mothers that a much bigger body of animal research has found. Reviewing a range of studies, Pawluski and her coauthors wrote in a 2016 paper that as a developmental period, pregnancy is as formative as puberty. “Under healthy conditions, the female brain transforms into a motivated, maternal mechanism,” they wrote. Researchers are a long way from being able to say what changes in the brain mean for an individual woman’s experience of new motherhood or how they interact with the physiological demands of that phase of life, such as breast-feeding and sleep deprivation. They are just beginning to investigate how the maternal brain is affected by trauma, such as abuse and poverty, or by substance use. Importantly, they can’t yet say whether postpartum mood disorders are the result of something gone awry in the typical changes that a mother’s brain goes through or whether they are caused by a triggering of other brain circuitry. Doctors, pregnancy books, and mom blogs typically do alert women to the standard list of symptoms of postpartum depression, sometimes including other postpartum mood disorders, such as severe anxiety or obsessive compulsive disorder. They encourage women to seek help if they experience symptoms such as hopelessness, excessive worrying, trouble bonding with baby, or a loss of interest in friends and family, especially when those symptoms interfere with their ability to take care of themselves or their child. As many as 1 in 5 women will develop postpartum mood disorders at some point after giving birth, and educating people about those conditions is critical. But these sources typically spend very little time on the neurobiological changes all mothers can expect to face. What would happen if we gave expectant mothers even a basic understanding of how and why their brains change? Would it help them to cope with the unfamiliar emotional experiences that very often are part of a healthy experience of new motherhood? Might it open a door for women who experience more problematic symptoms to talk with their loved ones or their doctor? 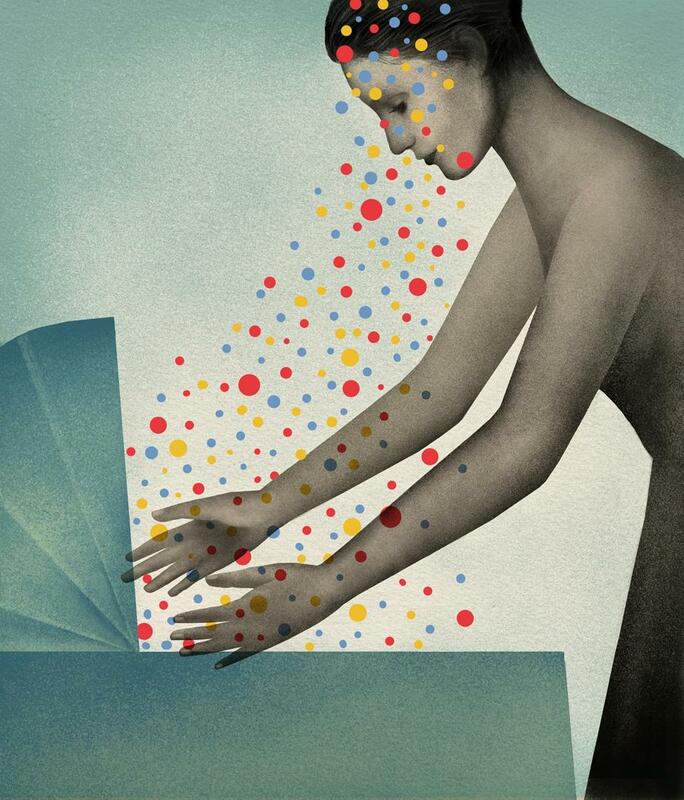 Could it even help some women to feel empowered by their own biology? As I read and researched, my anxiety began to feel manageable. But my frustration grew. So many women feel changed by motherhood in ways that can be unsettling and confusing. Here was information that might provide comfort to some: In most cases, not only are these changes normal, they also are productive, helping women to become the parents that their babies need. Why hadn’t I known this sooner? 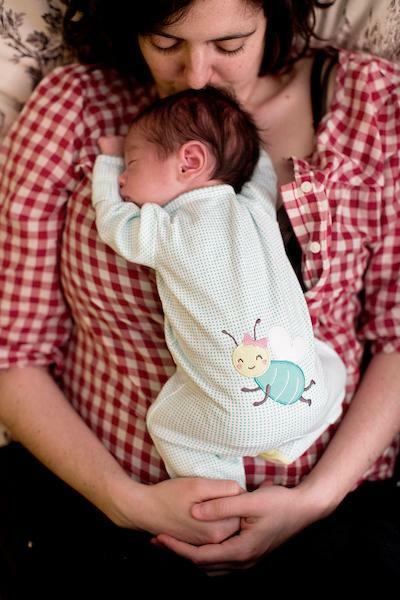 Chelsea Conaboy with her 3-week-old son in April 2015. Brazelton, then about to turn 98, answered his cellphone when I called in spring 2016, just as my son was turning 1. We met for lunch at Concord’s Colonial Inn. He had traveled with a caregiver from his home on Cape Cod to attend the funeral of a former colleague from Boston Children’s Hospital. I told him my story, what the passage from his book meant to me during some particularly dark days, and how it spurred my interest in the neurobiology of the maternal brain. Then, it seemed, our therapy session began. Brazelton said he was encouraged by the federal task force recommendation made just a few months before our meeting that all women who are pregnant or who have recently had a child be screened for depression, and he hoped a movement among pediatricians to be more involved in maternal mental health would grow. By that point, I felt sure he would agree with my conclusion: Shouldn’t we be better preparing mothers about well-documented brain changes they could expect, before baby is born? If mothers raised the topic with him, he said, he would be glad to talk about it. Otherwise, it might add too much to their fears. I fumbled with my words, dismayed and confused. The conversation had been so uplifting. Here suddenly was the heavy idea that women can’t handle information about their own bodies, their own brains. “Isn’t that a very, in a sense, old-fashioned idea?” I asked, self-conscious even as I said it about posing such a question to someone of Brazelton’s experience and stature. He took the question differently than I meant it and talked about the challenges of working mothers who lack social support. Our lunch ended soon after. People were gathering at the church. BRAZELTON WAS A PROGRESSIVE DOCTOR in his day. He listened to mothers at a time when others discounted them. That’s what drew people to his writing and to his popular cable TV show, What Every Baby Knows. Yet his comments to me seemed anchored in the idea that motherhood — women in general, perhaps — requires careful handling, an old idea that remains pervasive. The truth is, it’s easier to talk about decorating the nursery than about the gripping fear that sends you into a full-body sweat the first time you take baby to the grocery store. It’s more comfortable to debate baby names and stroller brands than to discuss the depth of loneliness that can come at 2 a.m. when you are awake again with a crying baby. Some of the obstacles to a more open conversation are deeply rooted — ancient, even. The belief that a woman’s uterus puts her at risk for “hysteria” goes back about 4,000 years. Today, of course, the idea that her brain is muddled by motherhood fuels pregnancy discrimination in the workplace and elsewhere. The research on “mommy brain,” the forgetfulness or general fogginess that many women report experiencing, is somewhat mixed. Deficits in memory and cognitive function that have been detected are generally small, are thought to disappear over time, and may be a function of the brain adapting to its new role. Even as we’ve gained a more nuanced picture of how neurology and genetics influence mental health in the population at large, researchers are playing catch-up when it comes to maternal mental health. Generations of scientists were uninterested in the topic, says Dr. Peter Schmidt, chief of behavioral endocrinology at the National Institute of Mental Health, who has studied postpartum issues since 1986. Schmidt focuses largely on determining the triggers for postpartum depression or psychosis. The field has broadened considerably in recent years, Schmidt says, with a growing interest in the maternal brain, specifically, newer technology available to study it, and the publication of high-profile papers that have proven to investigators that studying maternal mental health is “not career suicide.” Notably, the number of women researchers has grown, too. There’s also a recognition of gaps in understanding how men and women differ. The American College of Physicians in May issued a call to close those gaps by including more women as subjects in clinical research and regularly reporting gender-specific data in the results of those studies. If women have been too often absent from scientific studies in general, it follows that there has been “an invisibility” of the mother, says Dr. Alexandra Sacks, a reproductive psychiatrist in New York and coauthor of a forthcoming guide to the emotions of pregnancy and new motherhood. That’s beginning to happen, says Dr. Samantha Meltzer-Brody, director of the perinatal psychiatry program at the University of North Carolina and president of Marce of North America, a group that advocates for maternal mental health research, clinical care, and education. For a long time, she says, she felt like one of a few vigilantes in her field, pushing to get mothers struggling with postpartum mood disorders the support they needed. Recent years have brought a “huge sea change,” though there’s much more to be done. Participation in postpartum support groups has swelled. The American College of Obstetricians and Gynecologists recently recommended redesigning postpartum care to include a fuller assessment of a woman’s mood and emotional well-being. And the first drug for treating severe postpartum depression could hit the market soon. Meltzer-Brody was principal academic investigator on clinical trials that found brexanolone, made by Cambridge-based Sage Therapeutics and administered intravenously over about 2½ days, significantly reduced symptoms in women with severe postpartum depression. Still, while postpartum disorders have begun getting the attention they desperately need, less time is spent helping women to understand the range of what is typical for a healthy postpartum experience and developing a new idea of motherhood that does not romanticize it. “That’s where we need to go next,” Meltzer-Brody says. I started thinking about a map of the maternal brain as a kind of tool to cut through the romanticization, the history of scientific neglect, the invisibility of mothers. The map would be a tangible measure of the profoundness of new motherhood — one that demonstrates with certainty that the changes women experience “are biological and not constitutional,” as Dr. Leena Mittal, director of reproductive psychiatry at Brigham and Women’s Hospital, puts it. What we know about the maternal brain so far demands more investigation, Mittal says. But she and other clinicians I spoke with were less convinced that a routine discussion about typical brain development is warranted during prenatal care. One worried about women who feel the pressure to do everything just right during pregnancy, and how learning about how a woman’s neurobiology connects with infant bonding might add to that pressure. There are no specific conclusions that doctors can draw from the brain research to help an individual make choices about how best to care for herself and her baby, Mittal says. DOCTORS AND OTHER PROVIDERS who care for pregnant women have a lot to cover. Many women learn about even very common physical effects of pregnancy — diastasis recti, for example, or a separation of the abdominal muscles that can contribute to low back pain and pelvic floor dysfunction — not from their doctors, but from friends or family members. Maybe the evolution of the maternal brain will be like that, a topic discussed more commonly in breast-feeding classes and mothers’ groups. That would be helpful, of course. But is it enough? For one thing, many women don’t have access to those support networks or don’t connect with them until they find themselves struggling. Kate Worrall doesn’t remember any of the medical professionals she saw during pregnancy and through labor talking with her about her brain or the emotional context of new motherhood, beyond rote language about identifying postpartum depression. 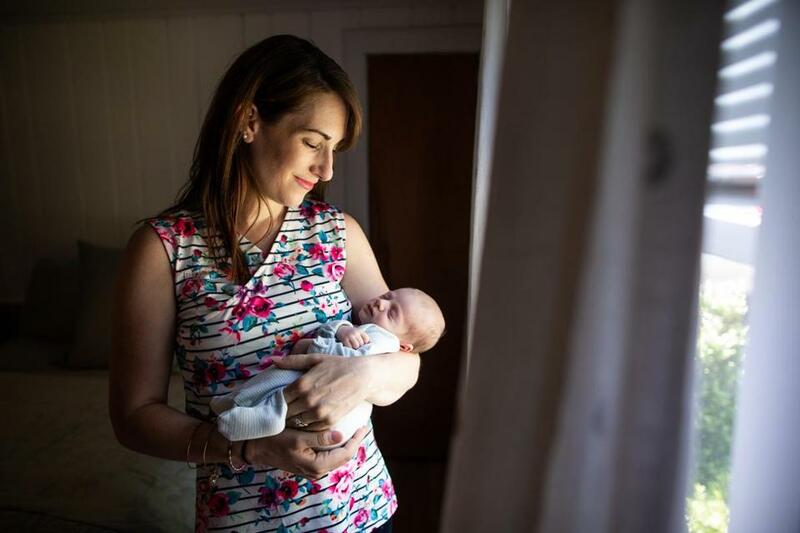 The 33-year-old lobbyist from Sharon was unprepared for the range of emotions she felt when she brought her son Tommy home from the hospital in December 2015 or when short winter days during maternity leave began bleeding into long, sleepless nights. “I felt a little bit more lost than I had anticipated,” she says. She had never struggled with anxiety before having a baby. But the challenges of comforting a screaming child and getting him to sleep stirred up a feeling of helplessness that she says she still struggles with today, though she eventually found a therapist who could help her cope. “I did feel blindsided by it,” she says. Kate Worrall, who just gave birth to her second child, says she felt unprepared for the emotions that came with becoming a mom for the first time. She was surprised when friends started telling her they had had similar experiences. As she awaited the arrival of baby Colin, born in June, she at least felt more prepared this time. Now, she said she makes it a point to talk with other expectant mothers about the mental and emotional challenges of motherhood. But Worrall says this isn’t just a matter for mothers to talk more openly about. She sees the anxiety she still experiences as part of the biological changes of motherhood that should be covered during prenatal care. “Like with all sorts of mental health, it needs to be just a component of the broader physical health,” she says. If that education is done thoughtfully, it could even be empowering. A mother’s brain is a powerful thing. A surge of oxytocin at childbirth triggers changes that allow a woman quite literally to sync to her baby through a coordination of biology (synchronized brain responses and heart rates) and behavior (matching responses in gaze, touch, and vocalizations). That intense connection teaches a baby from the very first day how to relate to another person, says Ruth Feldman, Simms-Mann Professor of Developmental Neuroscience at the Interdisciplinary Center in Herzliya, Israel. When we connect with friends, romantic partners, and colleagues and even as we view ourselves as a member of a sports team or as part of a nation, we “repurpose the basic machinery” established in the connection between mother and baby, she explained in a 2017 paper on the neurobiology of human attachment. The parental brain incorporates human-specific functions such as empathy with ancient ones aimed at protecting the young for the survival of the species. That complexity makes it “a peak expression of human evolution,” she says. In fact, she speculates that the parental bonding phenomenon came first. Before there were humans. I anticipated the emotional roller coaster of motherhood as I was expecting my second child last summer. Knowing what may be coming didn’t make the ups and downs any less real, but it made them less scary. I worried plenty. But I didn’t worry about the worry. I wonder how things would have been different the first time around if I’d known more. I might have coped better if I’d understood that some of what I was experiencing was just my brain— this dynamic, empathy-teaching, humankind-shaping maternal brain — doing exactly what it was supposed to do. Maybe, at the very least, it would have helped me to put down my smartphone at night and get some sleep. 40 years into the war on clutter, and we’re still overwhelmed by stuff. What’s going on? Chelsea Conaboy is a freelance writer and editor focused primarily on health care. She lives in Portland, Maine. Send comments to magazine@globe.com. Get the best of the magazine’s award-winning stories and features right in your e-mail inbox every Sunday. Sign up here.